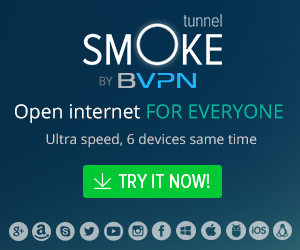 We’re now in the 21st century, Everyone loves Internet browsing. 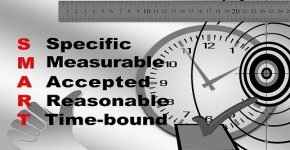 Because with the Internet or online browsing, people are doing their work in minimum time or effortlessly. It mostly effects on the reservation or appointments related website. Earlier, people need to mail or call for booking or reservation. Nowadays, Everyone feels sabotage or cumbersome to call or mail for the same. Whether you’re running a hotel business or hospitals or clubs, you need the booking or reservation functionality. If, you want to start this type of businesses with WordPress CMS. Then, It is an overwhelming idea! WordPress is no longer remain confined to blogging platform only but, nowadays everyone uses this well-developed CMS for business or eCommerce related website. WordPress is an immensely prominent content management system to create an alluring website. According to W3techs, WordPress has a 59.4% market share compared to other CMS. 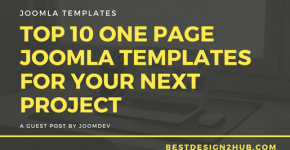 WordPress has an enormous collection of themes and plugins to enhance the functionality of the website. 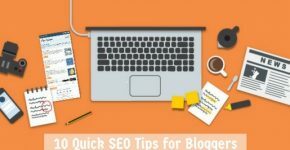 Here, I have accumulated some of the essential WordPress plugins that you should not ignore If you are going to start an online booking or reservation related business. Take a tour of these best plugins! All in One Reservation WordPress plugin helps you to set up reservation quickly and effortlessly. This WordPress plugin supports any kind of reservation like seat booking, table booking or creates the appointment. It has lots of features like creating the reservation in advance, for the specific date, checking reservation status, email notification and much more. It also supports the ReCaptcha plugin to secure the site from Spam and Abuse. It allows setting the holidays functionality to make reservation unavailable for those days. It is a multipurpose reservation plugin. One of the best plugin for reservation! Amelia is a powerful WordPress plugin for booking and reservation related website. It is one the best and award-winning plugin for it’s UX/UI. It has 2-way Google calendar integration. This WordPress plugin keeps on reminding of their appointments with SMS notification to the customers and your employees. 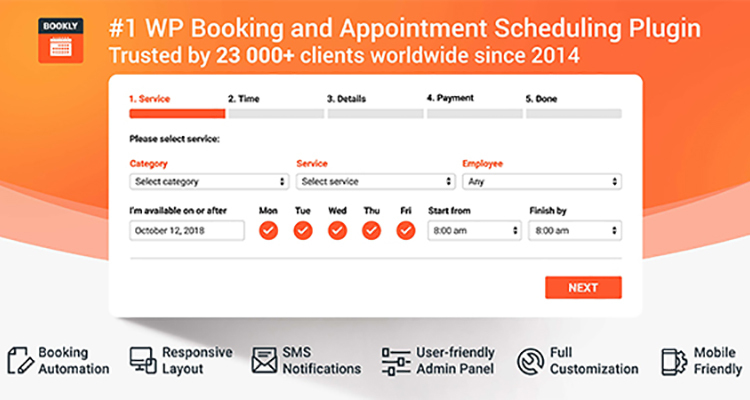 It is perfect for law consultants, salons, gym and sports, private clinics, repair centers or much more relevant to booking and reservation business. This plugin also supports the most popular stripe payment system to make the payment process easier for customers. Bookly Pro is an automated online booking WordPress plugin. It is a fully customizable plugin with online payments, Google calendar sync, notification, etc. It is a multi-language plugin and supports 12 different languages. This plugin helps you to save your time and money with advanced facilities for online booking and reservation. It has such a sleek & simple design that your clients are impressed with your booking system. You can easily change the layout of each step of the booking process. It is one of the simplest and smart ways to do online booking with Bookly Pro. 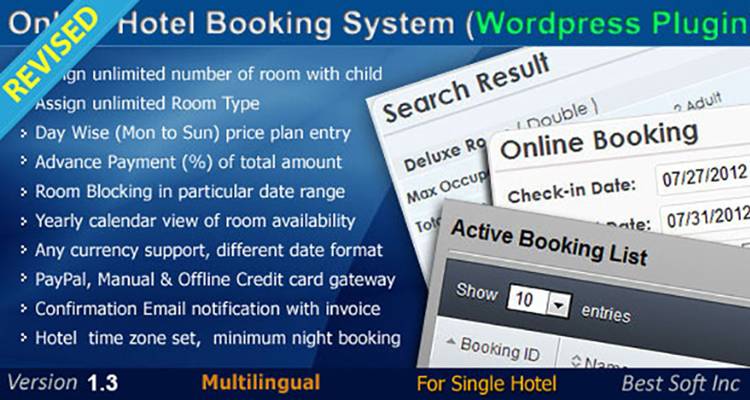 The online hotel booking system is a powerful booking engine WordPress plugin. This booking system quickly manages hotels real-time availability and room booking functionality. Confirmation and cancellation email content can easily edit from the Admin panel. It is a multilingual plugin for the front end. This plugin has a feature to assign unlimited no of rooms, room type, capacity wise, etc. You can easily book with different date ranges. A great plugin for hotel businesses! 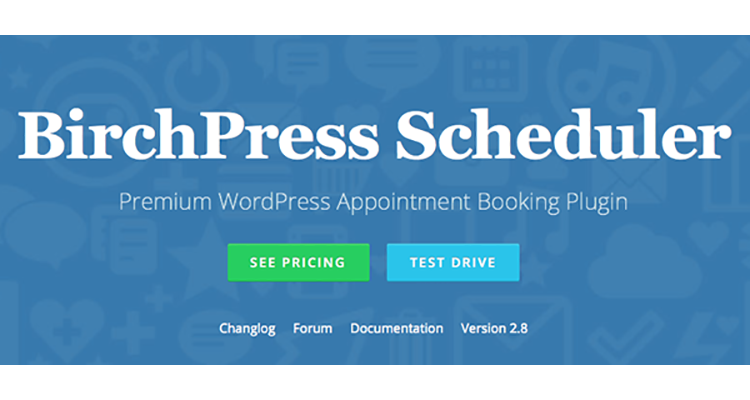 BirchPress Scheduler WordPress plugin is a perfect tool for booking online appointments. It has email notification for staff and clients and the remainder of a particular event. It is compatible with the WooCommerce plugin for the online website. You can easily import or export your appointments. It has a customizable booking form with that you can easily manage the different fields as per your business needs. 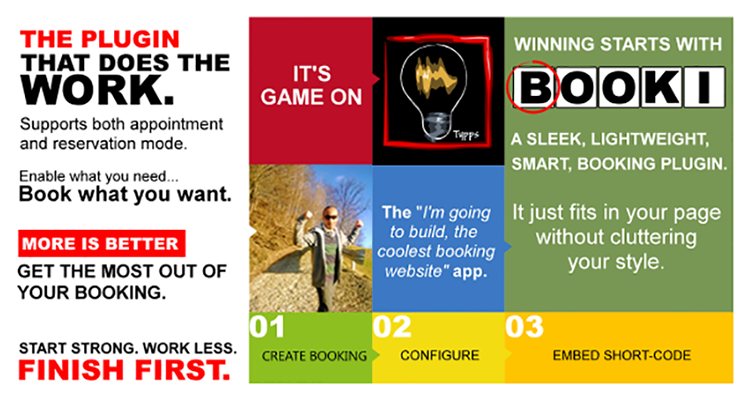 It is developer friendly and easy to use booking plugin. Booki is a lightweight, sleek and gorgeous WordPress booking plugin. This plugin has a minimum and maximum limit for single and multiple days booking. It is easy to create and manage booking or reservation the WordPress plugin. Even non-registered users can also do the booking. This plugin also has a feature that you can book the seat or reservation first and do the payment later at the place. It also helps to prepare the list of attendees with the proper data. This plugin is easily editable from the backend. 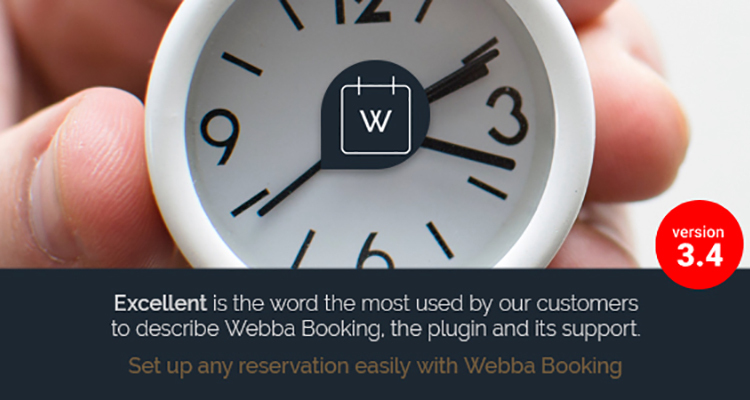 Webba is a powerful and classic WordPress booking and appointment WordPress plugin. 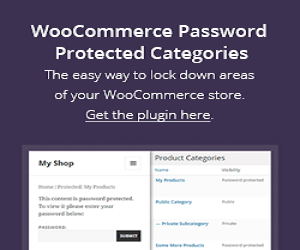 It is compatible with the WooCommerce plugin and compliance with GDPR. This plugin helps you to save time and money with its great functions. It has 80+ different and attractive layout options for different booking forms and customization. It is a responsive design so a user can book the appointment or reservation with mobile devices also. Great One! 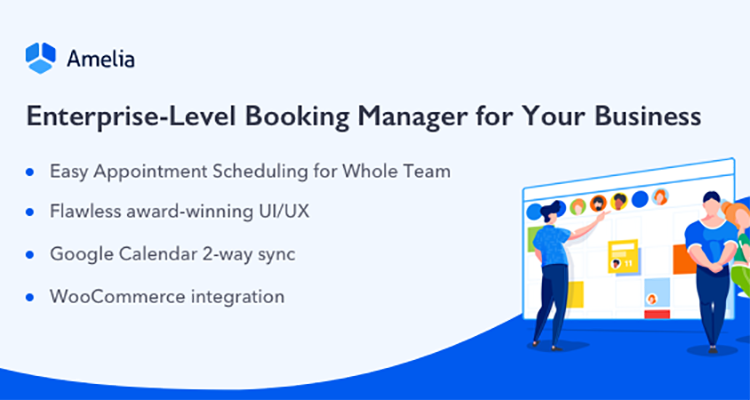 Booking Calendar plugin has an intuitive and powerful admin panel to handle the booking or reservation schedule effortlessly. It supports an unlimited number of booking properties or services. Visitors can easily check the availability and make the reservation while searching for the specific dates. A store owner can easily customize the form and calendar as per the requirement of the website. It is built to work out of the box with that customization. 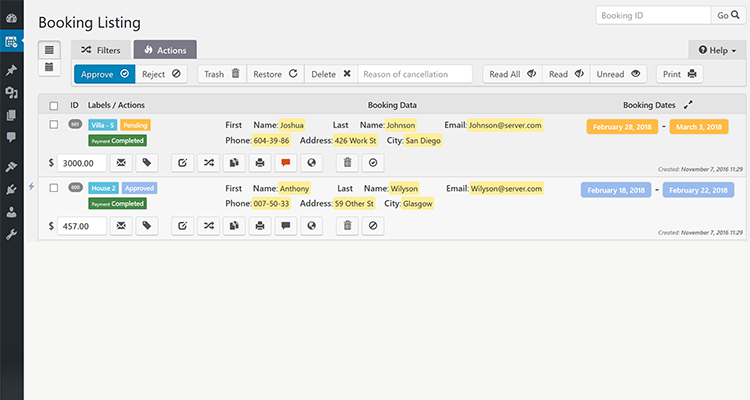 It also supports multiple booking admin panels. 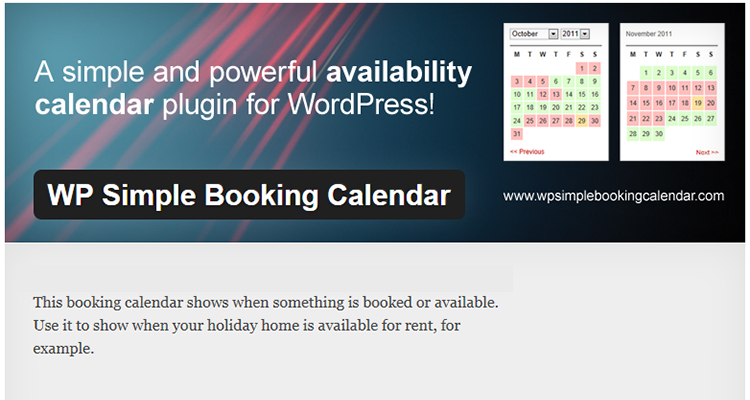 WP Simple Booking Calendar WordPress plugin has excellent feature support. You can quickly customize the calendar with your own colors, text or symbols. 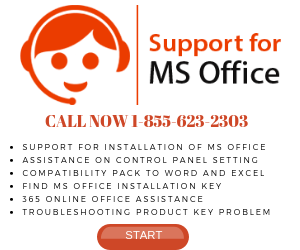 It has wondrous filtration functionalities that reduce the burden to click thousand times. You have to select the date range and booking status with that you get the required data. It combines multiple calendars into one overview. 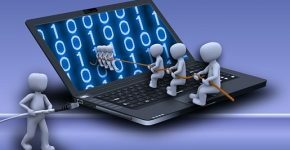 You can backup or restore your calendars and data regularly. It also has sync facilities with your calendar to sites like Google calendar, Airbnb or many more. 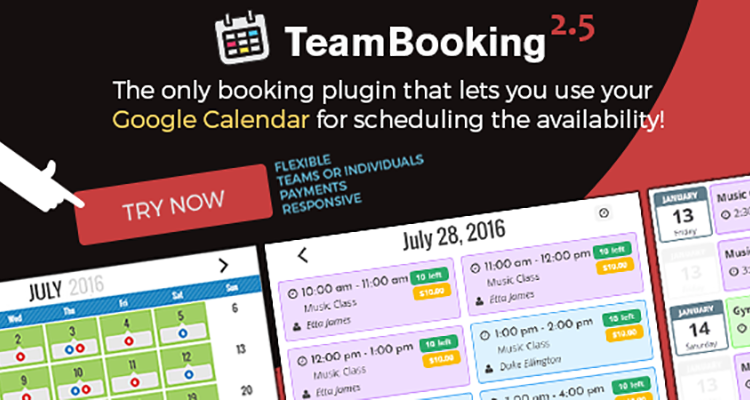 Team booking is a responsive and mobile-ready WordPress plugin. It is the only plugin that plans your availability or booking with Google calendar. It helps the customer to choose their timezones. It is a multilingual plugin that supports .po and .mo files. 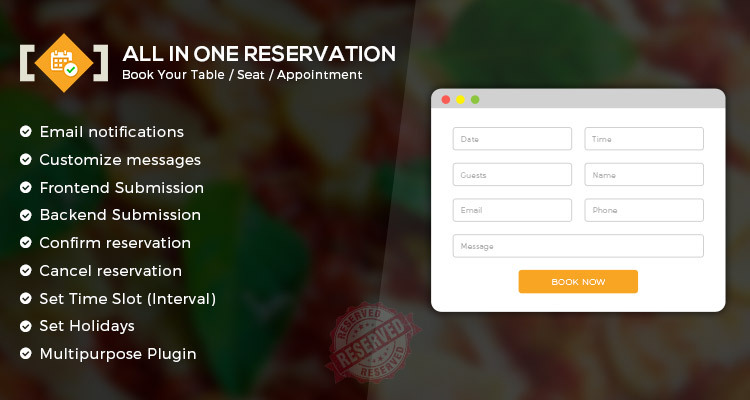 This plugin creates perfect reservation forms. 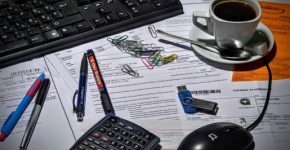 The available plans can be made by multiple coworkers also. This plugin used by multiple persons at the time while keeping their own Google calendar. It is a hassle-free plugin with complete booking solutions. Hope that these booking plugins make your business look user-friendly and professional. Anything you want to share with me, you are welcome to comment on the below-mentioned section.